Peace and Blossoms have been announced as the support for Courteeners' huge Heaton Park show this summer. Local act Bipolar Sunshine will also be performing at the show, which takes place on 5 June. The gig is set to be the biggest of Courteeners' career. Liam Fray told Radio X that the venue has many fond memories for him. "When we had a half day at school, we'd play pitch and putt. It's a beautiful place. I've been on a few dates there, it's a nice place to have a stroll around." Speaking of the Heaton Park show, Liam added: "It is fairly surreal, but it just felt like the next thing to do, really. There was talk about doing another show at the Castlefield Bowl, but we've already done that… and I didn't want to revisit it because those gigs were really special." 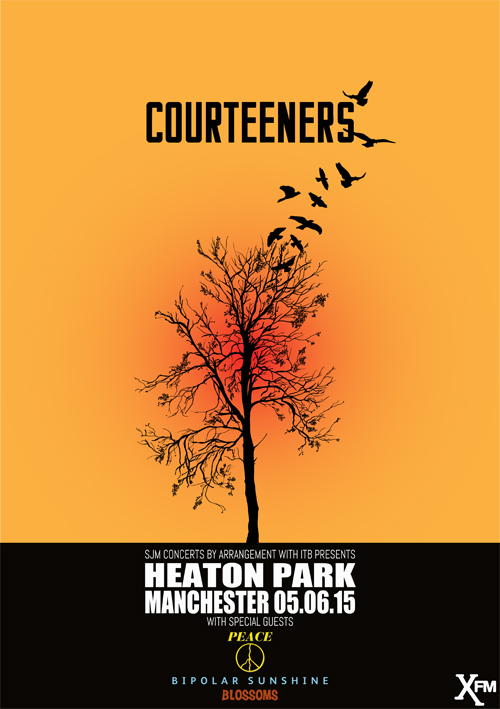 Tickets for Courteeners at Heaton Park are now sold out.